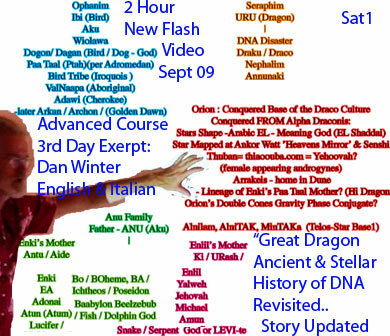 Advanced Film Series- Sept 09: (Exerpt Sat5 / pt sat5) Great Dragon! 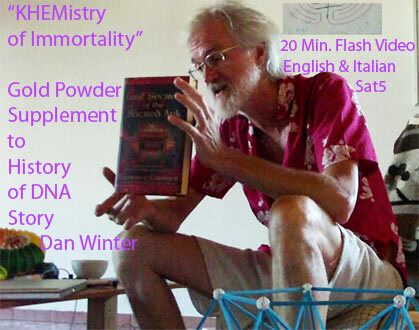 The Gold Powder Story- -Supplement with Dan Winter.. -..
DVD's/Books - "World Tours! 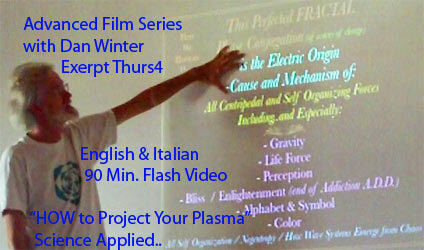 ">Course Calendar - Films Online - HeartTuner/BlissTuner Latest Newest Compleat 400 Image Implosion Powerpoint! 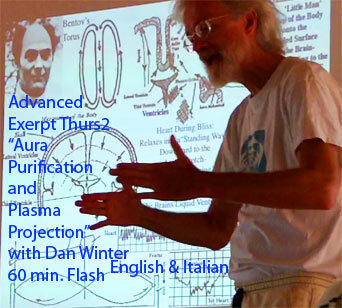 Dan Winter's BOOKS:1.Alphabet of the Heart, 2. 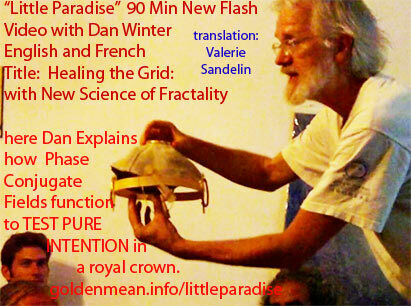 EartHeart, 3.Implosions Grand Attractor, 4. 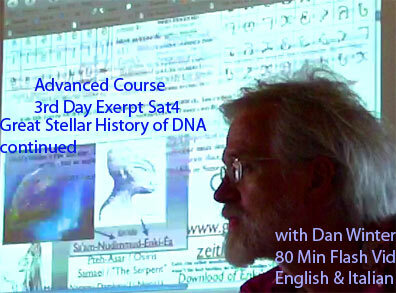 Implosion:Secret Science of Ecstasy&Immortality , - Origin of Alphabets Physics - Stellar Purpose/History of DNA Articles - new master Photo Galleries.